Have you ever seen a Japanese tiny hedgehog on camping? 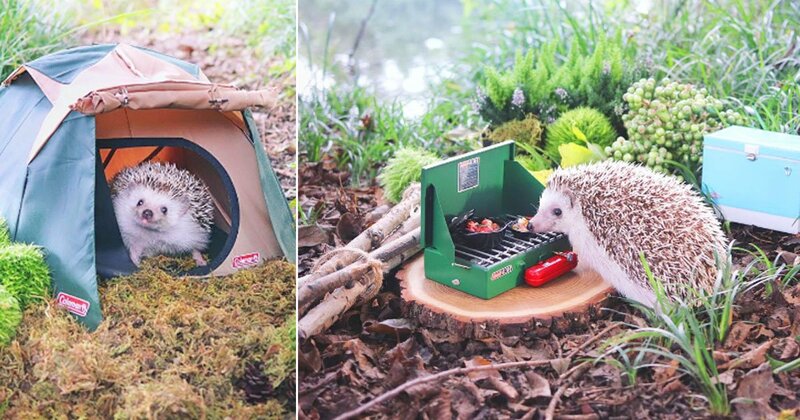 An Azuki named tiny Japanese hedgehog likes to do camping under open sky’s and likes to grill as well. The Tiny Hedgehog cute nose and the unforgettable smile on his face are just amazing to watch all day long. Tiny hedgehog Azuki decided to go on a short outdoor camping adventure to take advantage of wildlife and get some pleasure under the great open skies. Coleman named outdoor company is making the custom mini outdoor camping sets. Just have some fun of the amazing pictures from the Japanese tiny hedgehog Azuki! You can also follow hedgehog Azuki on Instagram.